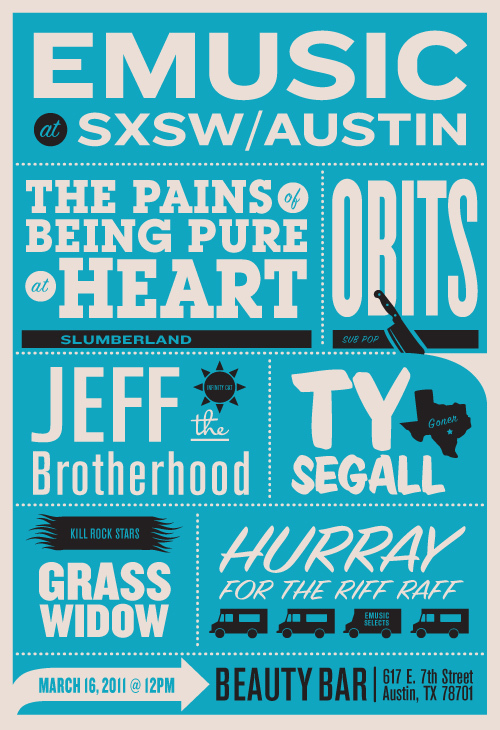 On March 16 at 12 PM, eMusic will be presenting a SXSW Day Party at Beauty Bar in Austin. Check out lineup and further details after the jump. The party starts at noon, complete with free food and drinks followed by an array of fantastic performances from some of the best in the independent music industry. The guest list is a first-come, first-serve basis and the RSVP deadline is March 1. Confirmations will be sent out March 4.